Uttaresh Venkateshwaran gets in conversation with Moneycontrol's auto expert, Swaraj Baggonkar, to discuss the launch and specification of the Tata Harrier. Tata Motors is set to launch its flagship SUV, Harrier on January 23. It is touted to be Tata's flagship model after Nano. It will mainly rival the Jeep Compass, Hyundai Creta, Hyundai Tucson and the Mahindra XUV500. 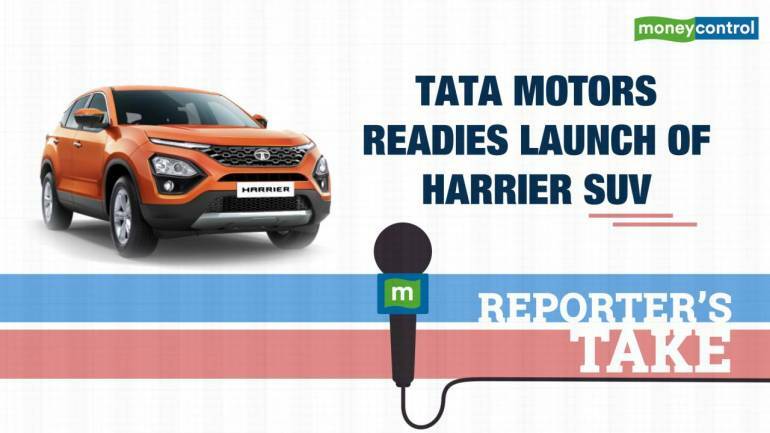 Uttaresh Venkateshwaran gets in conversation with Moneycontrol's auto expert, Swaraj Baggonkar, to discuss the launch and specifications of the Tata Harrier.